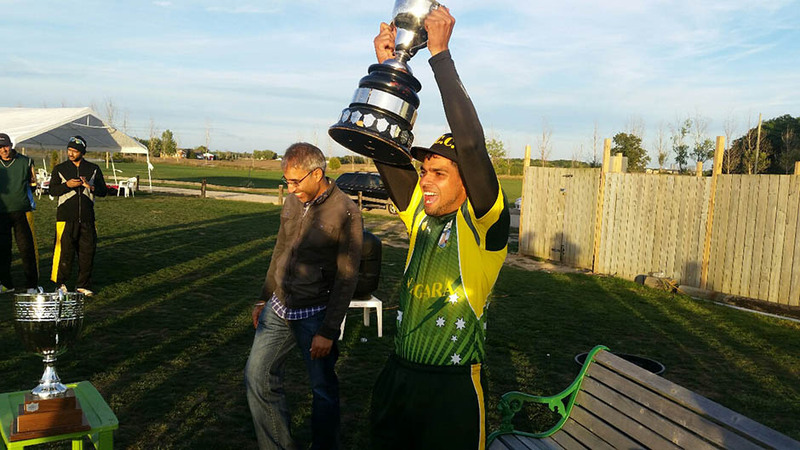 The Niagara Elites downed the Halton Warriors to win the Hamilton & District League Cricket league title at the Niagara Cricket Center on Sunday. The Elites, a young a group led by players in ther 20s and 30s, defeated the more experienced and battle-tested Halton team using a balanced batting lineup backed by superb bowling. It is the second league title in the past 5 years for Niagara. 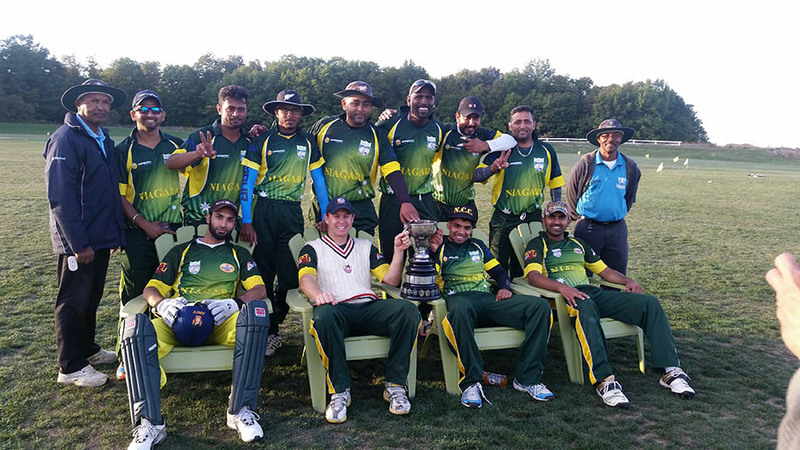 The Elites scored 219 runs on the Niagara Cricket Center’s natural turf pitch and was able to hold the Warriors to 112. 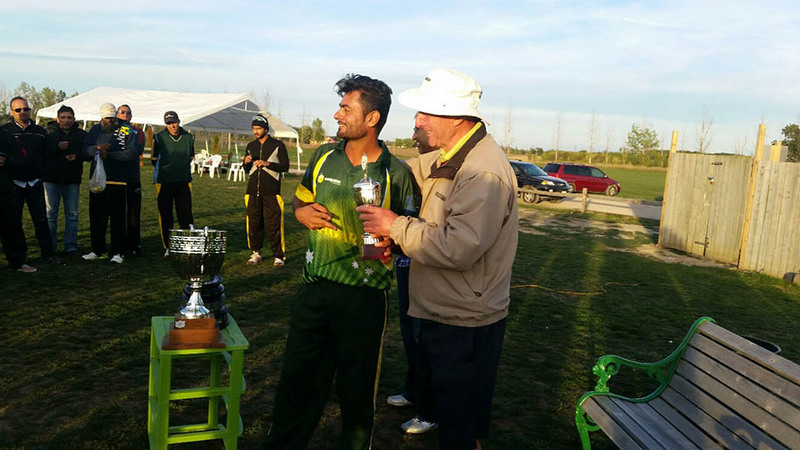 Niagara Vice Captain Zia Sarwar and Anthony Pratt formed one of the best partnerships of the season and combined for 106 runs, with Sarwar leading all batsmen with 60. The Elites held Imran Kazmi, the Warriors’ key batsman, to just one run after a fantastic catch by Pragash Podiratnum on a fast delivery from Pratt in the first over. The Elites bowling attacks of Pratt, Vinod Minhas, Salman Arshad, Vicky Sharma and Pragash Podiratnum kept the Warriors batsmen at bay and out of sync. Despite coming into the playoffs with the best regular season record and home-ground advantage the Warriors were expected to win based on their experience and guile. “The 2016 campaign will be recognized as one of Niagara’s most successful in its 130 year history.” Said Tan Qureshi. “It’s a rare feat to not only win the regular season title, league title and also defeat every club in the process. We’ll savor this one a great deal, but also get ready for next year as our intercity district league continues to get tougher and tougher with superb teams now competing here from as far Brantford and London Ont. The Niagara Cricket Club , established in 1891 and historically known as the St. Catharines Cricket Club is region’s oldest cricket club and plays in the Hamilton District Cricket League. The Niagara Elites play their home games at the prestigious Niagara Cricket Center. Located in Thorold, the Niagara Cricket Center is Canada’s premier private cricket facility. The regional club is governed by its board, Patrick Little (Chairman), Steve Ferley, Chris Laot, Mohsin Hamdani, Asad Ali and Tan Qureshi. Each of the board members have served the club and/or sport of Cricket for over 25 years.